One day, on a stroll through an area that had been cleared but not yet officially recorded, Johnson’s eye was caught by a figure on a courtyard wall of a small house near the center of the city – a crude circle he thought looked like a clock face divided into quarters, with 12 sets of Greek letters around the outside. He could read the letters, but they seemed to make no sense. Intrigued, he copied the figure and made a private project out of deciphering the drawing. His first clue was the number 12: he thought of the 12 labors of Hercules, the 12 gods of the Olympic pantheon, the 12 signs of the Zodiac – aha! But what were the Greek names of the signs? He tried to remember their English names, and suddenly knew he was on track, for he realized that the lambda-epsilon-omega-nu at 4 o’clock spelled Leon, for Leo the Lion! Pi-alpha-rho-theta at 3 o’clock were the first 4 letters of Parthenos, “Virgin.” At 7 o’clock were tau-alpha-upsilon: Taurus! With his Greek dictionary in hand he figured that iota-chi-theta at 9 o’clock stood for Ichth-ies, Fishes. Tau-omicron-xi at the top was tox-otes, the Archer, 2 o’clock’s zyg turned out to be zygos (“yoke”), i.e. Libra. Kark at 5 o’clock stood for kark-inos, Cancer, and did at 6 meant did-ymoi, twins, or Gemini. The 8 o’clock position was kri: kri-os, the Ram, at 11 was aig, obviously aig-okeros, Capricornus. Two positions were obliterated – 1 o’clock must have been Scorpius, and 10 o’clock would have been Hydrochous – “Water-pourer” – the tail of its “rho” was still visible! Now JJ was well and truly hooked. Realizing that the remaining words must be planets, he tried to get the words to conform to Hermes, Aphrodite, Ares, Zeus, and Kronos, but had no luck at all, so he took the phi, alpha, iota, nu at the bottom and ran his finger down the phain- words in a Greek dictionary, where he found Phain-on, Shiner, the early literary word for Saturn! At 5 o’clock, next to the kark- of karkinos, were phi, alpha, and part of either epsilon or omicron; the dictionary supplied Phaeton, Radiant One – Jupiter! At 4 o’clock, with Leon, were 3 planets: phosph- for Phosphoros, Light-Bringer: Venus. Stil- was Stilbon, the Gleamer: Mercury; and over the initial phi of phosph- were the letters py- for Pyroeis, Fiery One – Mars! But that was all; the Sun & Moon were missing. After learning that Sun had to be within one sign of Mercury, and seeing that it was not in Leo or Virgo, he knew it had to be in Cancer, under the gouged-out segment on the lower right. The missing Moon would have had to be under one of the 3 gouges, in Aquarius, Scorpio, or Cancer. Realizing he could go no further without reference books, he packed his notes to await his return home. Back in New Haven, young JJ screwed up his courage and asked the eminent Prof Ernest W Brown of Yale’s Dept of Astronomy to help discover the date of the figure, giving him the time parameters of the occupation of the city, that is, from 300 BCE to 275 CE. Brown handed the task over to Dirk Brouwer, a research assistant (Brouwer later became Prof of Astronomy, Chairman of the Dept of Astronomy, and Director of Yale’s Observatory). Brouwer concluded that the date of the horoscope was July, 176 AD, and given the possibilities of the missing Moon, it had to be either July 3-5 (if in Scorpio), or July 10-12 if in Aquarius (the other positions would not work with the Moon in Cancer). Johnson was delighted, not only to have a date within a 10-day span, but to have an archaeological fix on a date for the house it was found in! At this point Johnson took a close look at a photograph he had taken of the wall, which showed faint letters above and to the left of the diagram; with great difficulty and a magnifying glass he made out what seemed to be Zeta Pi Upsilon Pi Alpha Nu Theta: ZPYPANTH? – certainly not a word, even to a Greek, and definitely a puzzlement. After a long period of mystification, it occurred to the decipherers (by this time the others were hooked too!) that it might be a date – the Greeks had used letters for numerals! The first three might be the year, the second three the month name (abbreviated), and the last the numeral for the day. Using the Greek letter-for-number system, it became zeta: 7, pi: 80, upsilon: 400, adding up to 487, that is, the 487th year (of whichever one of the calendrical eras of the many despots of western Asia had been employed). They knew that before the Romans had annexed Seleucid/Parthian Dura, the calendar in use had been the old Babylonian Seleucid Era, whose Year One ran from September, 312 to September, 311, BCE. If it was the Seleucid Calendar, the year 487 would have run from September 175 to September 176, CE! They were getting very warm. Still to be deciphered were Pi-Alpha-Nu: “Pan”. They hunted up other texts found at Dura (nearly all the documents found at Dura were in Greek, which surprised scholars, for they had thought it an “obscure eddy in the mainstream of Hellenism”) and discovered that the Macedonian months had been in use; of these, only one began with Pan-; this was Panemos, July! This was a wonderful confirmation of Brouwer’s work, but there was still a problem. The day did not fit. Theta stood for 9, and Panemos 9 would not fit either alternative for the Moon, July 3-5 or July 10-12. They presumed that even in the Seleucid Era, the Julian (solar) Calendar would have controlled the months, and they were stumped and discouraged. Then it occurred to them that one possibility remained – perhaps the Romans had not, at least not at Dura, yet outlawed the former Macedonian lunar calendar. In a lunar calendar, each month begins with the new moon; Panemos 9 would have been the 9th day from the first appearance of the lunar crescent. As Johnson tells it, he was literally shaking with excitement when he consulted Ginzel’s Handbuch der mathematischen und technischen Chronologie, a 3-volume reference that contained dates of new moons, as seen from Babylon. The previous new moon had been June 24, at 9:56 AM, but this didn’t work – if June 24th was Panemos 1, then Panemos 9 would be July 2, a day too early. But Ginzel’s tables gave the astronomical new moon, and JJ realized that a human observer would not have been able to see the extremely thin new crescent on the evening of June 24; Panemos, therefore, would not have started until the evening of the 25th, and Panemos 1 would have run from sunset June 25 to sunset June 26, and eight days later Panemos 9 would have run from sunset July 3 to sunset July 4. Bingo! Later, they realized they could fix the time a little more closely still: they had learned that the horoskopos, i.e. ascendant, indicates the eastern horizon, and the Sun, in Cancer, was well below the western horizon, between sunset and midnight; therefore they decided that the baby was born about 10 PM, July 3, 176 CE, OS. As an unexpected bonus, the scholars were able to use this single example to show the exact correspondence between the Seleucid & Julian calendars (Panemos 9, 487 S.E. = July 3, 176 CE), and to demonstrate that one of the Hellenistic lunar calendars, the famous Babylonian cycle, had still, surprisingly, been in belated operation as late as 176 CE! But what about the horoscope itself? Who was this babe? Was it a boy or a girl? Destined for an ordinary existence, or prominence? Which of the wild medley of competing religions (note the square of Apollon & Poseidon) did the family follow? Dura (Doura-Europos on some maps) was a Babylonian-Seleucid Greek-Parthian caravan city on the trade route from the Persian Gulf through Palmyra to the Mediterranean, taken over in 165 CE (11 years before the horoscope was drawn) by the Romans and turned into a frontier fortress. This Greco-Arab society of Hellenistic/Roman Mesopotamia was a seething stew of co-existing-while-competing races, nationalities and philosophies, including such oriental religions as Persian Mithraism, Parthian Zoroastrianism, the cult of Adonis/Atargatis, the Egyptian worship of Isis, as well as Orphism, Platonism, Stoicism, Sabianism, Judaism, and even early Christianity (still considered merely a minor sect of Judaism, and often harshly surpressed by the Romans). Curious to see what I could glean from the chart, I fed the data into CCRS, using 10 PM LAT (Local Apparent Time), and deriving the latitude & longitude from an historical atlas. On studying the chart in depth, I was forced to think about the possibility that the child was stillborn, or died right after birth, for Aries/Sun=Admetos is the formula for “corpse,” and Uranus+Poseidon-Saturn, another death formula, came out at 20Aries53, square chart-ruler Jupiter, and the Asc is square Saturn. Yet I suspect, if there is a death here, it may have been the mother. The Moon, ruler of the 5th, the 8th-of-death of the 10th-of-the-mother, is in Scorpio in the 8th opposed by Uranus and Hades. Other indications of the possible subsequent loss of the mother: Moon/Admetos=MC, and both Mars/Saturn and Moon+Mars-Aries=Venus, which is entering 0 of the fixed signs, sometimes called the “Death Axis.” If we take the MC as the place of the mother, the close conjuction of Neptune, combined with an nth-degree Venus, tends to confirm her loss, if not at the birth, shortly thereafter, though there are many other possibilities for these pictures. It did not seem likely to me that a family would deeply and permanently carve a figure on a wall commemorating a stillbirth, or a birth that resulted in the death of the mother, esp since the picture for family celebration, Aries/Asc-Cupido, equalled the Meridian! I decided to proceed as if this was a live birth, and analyze it from that point of view. The newborn’s Sun is also on the axis of Aries/Jupiter (ruler of the primary angles), as well as Aries/Saturn, Mercury/Neptune, Moon/Venus, Venus/Uranus, and Mars/NNode. To strengthen the babe we have Sun/Jupiter=Asc, a hopeful picture. Was it born to the one of the Roman garrison families occupying the outpost, or to Greek or Rabbinical scholars perhaps? Arab tradesmen? Parthian militia? Actors? Artists? Soothsayers? Since we know almost nothing about the circumstances here, I started with the one incontrovertable fact: a courtyard wall near the center of an ancient city was wet-plastered so that a horoscope could be cut into it, and it was left there, and not plastered over, for the duration of that family’s occupation of the dwelling. From this we can conclude that astrology was important to them, possibly even an integral part of their philosophy and way of life. There are several planetary pictures for astrology, but since Neptune culminates, the formula Nep+Kronos-Admetos was the one I started with (this formula also can mean “heavenly bodies” and so can refer to astronomy, as well). It came out on the MC! Aries+Uranus-Apollon hit MC, Neptune, and the Apollon-Poseidon cnj as well; Jupiter/Apollon-Uranus (success in astrology) came out on Mercury, and Uranus/Apollon-Vulcanus equalled Jupiter & Zeus. No doubt about it. But was the child to become a professional astrologer? First we have to seek out more information. Since Mars/Zeus=Sun, Zeus/Vertex=MC, and Zeus was exactly on the Aries axis, this meant that every midpoint and planetary picture that hit Aries, (including MC/Asc, MC/Vulcanus, Node/Zeus, Node/Admetus, Moon/Cupido, Asc/Venus, Venus/Pluto, Neptune/Pluto & Jupiter/Equatorial Asc) also hit Zeus! According to the Encyclopedia Britannica, after surviving through Babylonian, then Seleucid, then Parthian rule, the trade caravan city of Dura was annexed to the Roman Empire in 165 CE (just 11 years before this horoscope was drawn) and used by them for nearly a century as a cantonment and frontier fortress. With all that Mars and Zeus, this may very well have been the horoscope of a Roman army brat! But how to check the Roman connection further? Were they strangers in a strange land? The formulas for aliens are based on Saturn/Hades combinations, and here Saturn/Hades=MC, and Saturn + Hades – Moon = Mars. Saturn + Hades – Kronos, “occupying power”, equalled the dynamic (and violent) Uranus-Hades-Moon combo, as well as Cupido and Aries/Zeus. “Special assignments in a war” – Kronos + Admetos – Zeus, equalled Mars, Vulcanus, and Pluto. The military patterns I tried all came up strong: Cupido/Zeus (military organization) = Asc, Pluto, MC, & Neptune (Cupido + Zeus – Neptune: “parts of army forced into inactivities”). Military camps are Aries + Asc – Zeus; here it = Asc, Sun/Jupiter, Sun/Admetos, Sun/Saturn, Sun/Kronos, and Mercury, ruler of the 4th. Saturn/Vulcanus: “vigilance, to be on guard”, = Mars. (This last picture occurred at the 1982 Libra Equinox, when US troops policed Beirut). Kronos/ + Admetos – Saturn is “to be in a difficult position because of separation or seclusion”; it equals Jupiter, ruler of Asc & MC – certainly suitable if this is a military family sent to protect an outlying fortress at the edge of the endangered empire! These all could well represent the newborn’s connection with the Roman occupation. What did he look like? (Jupiter, his ruler, exalted, on Vulcanus axis – probably large, and strong); Neptune, his other ruler, is in Jupiter’s sign. Big fella, probably tending to overweight. Born on the Day of Mars, Hour of the Sun, what would this little Roman grow up to be? Military prominence is certainly a possibility, especially since Sun/Zeus (“born leader”) = Asc, and Sun + Zeus – Aries (“military persons of rank,” “belonging to the general staff”) = Sun! Yet there are other possibilities – the Sun in the 5th house suggests a pleasure-and-fun loving nature, possibly drawn to performing, being the center of attention. The MC-Neptune combination led me to try pictures for acting and music: Venus/Apollon, a midpoint for music, art, friendship and peace = Mars, and the Meridian (with Neptune) is on the Aries/Cupido axis, an artistic influence. 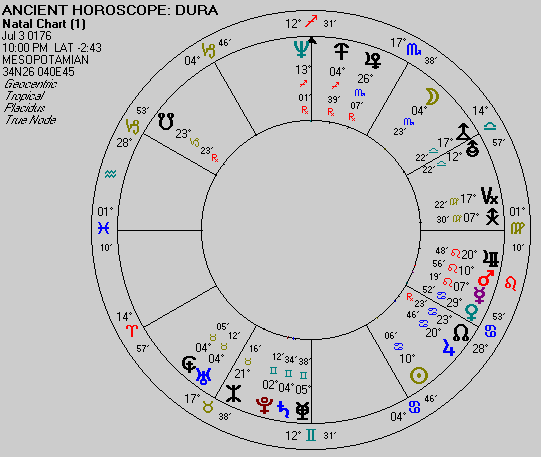 A formula for actor– MC + Neptune – Sun, =Aries, tNode, Zeus, & Moon/Cupido. For successful actor, Sun + Apollon – Venus, should = Mars; here it does not, but does = Ma/Ze, and Jupiter + Apollon – Vulcanus! Yet Saturn & Pluto are conjunct on the chart, and Saturn/Pluto = Mars & Vulcanus, indicating that the child was probably trained into strong discipline, endurance and survival; if he was to be an artist, actor, or musician, that sort of upbringing would seem a little less likely. So we are back to the military probability, with the arts a possible side interest. But there’s a problem: Sun/Neptune equals both Mars: “weak, sensitive, weak muscles” (FDR, crippled by adult-onset polio, had this) and Saturn: “inhibitions through illness or physical disability, emotional of mental illness, emotional affliction.” Yet another possibility presents itself here: Ebertin mentions that mediums have this planetary picture, and under Sun-Neptune lists “Abundant experience in the spiritual and psychic realms or spheres, mystical experiences…sympathetic understanding of other people.” These are not a patterns you would expect to find on the chart of one who was simply a professional soldier. Yet at the same time, we have Saturn/Pluto = Mars: brutality, violence, necessity to fight for existence; maltreatment &/or strict discipline; magicians, adepts (italics mine). Trying out the spiritual, mystical hints, I wondered what religion might be followed by this fellow. A bit of research came up with the fact that Mithraism, a major mystery religion of the era, was popular with many Roman soldiers, bureaucrats and merchants, and though only a little is known about Mithraic doctrines (adherents were sworn to secrecy), it was definitely a religion based on the sky! Every known Mithraic monument – from England, through Europe and into the Middle East, features constellation figures and zodiacal signs surrounding the central feature: the “tauroctony” – Mithra in the act of slaughtering a sacrificial bull. The Roman legions carried this (males-only) religion into every area they occupied, setting up elaborately carved altars, usually undergound, in grottoes or caves. This would fit both the Roman military theme, and the fact of the casting of the horoscope itself! Now the chart began to come into focus: with his need to be the center of attention, his military Roman upbringing, and his mystical inclinations, might not this child be destined to become a priest of Mithra? I tried to think of other patterns I could try to test this out, but for some inexplicable reason, there are no planetary pictures listed for the sacrifice of a bull (darn! ); so I tried the tame “to take part in a funeral service” — Asc + Mars – Saturn: it came out at 7 Tau 33, sq Merc, on the Mars/Hades axis, at the mouth of the Celestial Bull! (The precession correction, from July 176 to January 1996 (1819.5 years) is 25°23′; this brings it (A+Ma-Sa) to 2 Gem 56 — 495 Tauri, a double star at the Bull’s mouth). The relief sculptures of the tauroctony showed Mithra gripping the bull by the mouth and pulling his head back. But to slaughter a bull is a bloody, drastic business – what could I use to check this? Taking the UranusHades (sudden mean acts, murder) conjunction as a focus, I subtracted Mars (sudden damage or death by weapons): it came out exactly = MC! This could relate directly to the horrors of battle, of course, but when I added the precession correction to the UranusHades, I discovered that the conjunction came to 29 Taurus – the Pleiades cluster of stars in the shoulder of the Bull. This is the place the Mithraic bull was stabbed, to bring forth its life-sustaining blood! (In India this cluster marked the 1st Nakshatra Krittika, The Cutter(s), representing the nurses of the infant God of War).There’s a potential for plenty of violence here: Mars + Hades – Vulcanus, murderous deeds = the debilitated Moon (at fanatic, destructive, and sacrificial Alpha Centauri). Moreover, the Moon was at the stars of the Scorpion’s head which, in the Hindu lunar mansions, formed Anuradha, the only Nakshatra whose Regent is Mitra! A man born under) Mitra’s mansion [Anuradha], he will be wise and a wanderer, have steadfast friends, will live in foreign countries, be unhappy through hunger, enjoy all kinds of jewels, pleasures and riches, be preeminent by birth, fame and energy, have both dharma and worldly gain, and be one who makes enemies into friends. I had decided not to check each placement of the chart against my own Fixed Star Encyclopedia until I had done most of the traditional & Uranian interpretations, because I wanted to see if I could read the chart without it, and then see if the conclusions I had come to were sustained by the stars. Besides the bull’s mouth and the Pleiades, there were 2 surprises: first, stars associated with astrology & astronomy came up more strongly than I had anticipated – he (I still think it’s a he) may have indeed practiced astrology, whether as a priest of Mithra or not. (After all, he may have grown up seeing his own horoscope on the wall, year after year). Second, there were many fixed star placements associated with injuries; this led me to believe he may have started as a soldier (possibly an officer), and after injuries kept him out of battle he may have turned to the study of the sky. This could explain the “weak muscles” & “physical disabilities” patterns, as well as the many death and funeral pictures prominent, indicating either the loss of many comrades, and/or himself, as a priest, presiding over such rites). His progressed Sun would have come to natal Mars when he was about 32, when Saturn, by double arc, came to his Part of Fortune, and UranusHades to his Saturn, and by double arc, to his Pluto. Mercury, by half-arc, came to his Mars/Saturn, and by double arc, to Admetos, while Mars + Saturn – MC double-arced to his Asc. In this year (208 CE) he may have nearly died, or, at the very least, thoughts of death preoccupied him, perhaps turning him to a religious path. 208 CE was the year Emperor Septimus Severus triumphed over Parthian invaders in Mesopotamia (was Junior with him?) and returned in triumph to Rome. If he lived long enough, i.e. to 42, a fairly advanced age at that time, he would have seen the Halley’s Comet apparition of 217-218, which was quite bright, reaching 0 Magnitude in the spring of 218 (Dion Cassius called it “a very fearful star”). Comets are important year-indicators: at his Solar Return it would have been 27Leo35, in the 4th house of the return, cnj the return’s chart-ruler Venus, and the late 6th of his natal chart; solar return Mars squared his natal Asc, with Saturn/Uranus bracketing his Moon, opposite natal Uranus/Hades. At its perihelion Halley’s was 22Aries57, square his natal nodes. The comet was generally perceived to have been the agent of death for Emperor Macrinus in that year; it may have done for our friend as well. The precession correction for the difference in the fixed star placements between 176 CE and 1996 (1,820 years) is 25 23′ which is added to each position in the horoscope, to match it with current star positions. Besides the UranusHades at the Pleiades, already noted, his natal Pluto was at Omicron Aurigae & 132 Tauri (now 27-28 Gemini). Our figure of Auriga, the Charioteer, was in ancient China “The Five Chariots” – a military encampment! The Greeks held that the charioteer was Erichthonius, adopted son of Athena, who invented the chariot because he could not walk. Three years ago I tried putting these two themes together (military and disabled) with the idea that crippling & war disabilities might turn up at Auriga’s stars, and so it proved. (War vet Ron Kovic, for instance, of “Born on the 4th of July”, has Sun, Uranus, & the NNode aligned with stars of Auriga!). Saturn was at the star 60 Orionis (now 29 Gemini), below the upraised right arm of the huge hunter/warrior figure the Chinese called “The Supreme Commander” with, in the same degree, Menkalinan, Beta Aurigae (also in the Chinese military garrison), and 36 Aurigae, which the Chinese called “The Headquarters Standard,” ruling class distinctions, rank, and the proper observation of rites. Admetos was at star 1 Geminorum (now at 0 Cancer) in Castor’s left foot (the Gemini twins were military heroes), with 30 & 40 Aurigae (also in The HQ Standard, concerned w/rank, etc), and Chi2 Orionis at the tip of the Orion’s sword, an asterism which the Chinese called “The Officer in Charge of Omens!” Complementing this is Cupido at Kashud, Theta Ophiuchi, called “The Magician” in the most ancient cuneiform texts. An entire (possible) story has emerged. Military service, disability, and a new (or continuing) profession as a priest/occultist/astrologer/seer. After I had completed this article, I searched through books on ancient civilizations hoping to discover one or two possible illustrations for it. I hoped simply to find pictures of the general area – my digression into Mithraic possibilities had started as a shot in the dark. No map of the known Mithraic sites had shown any worship that far east, but to my astonishment, a picture of a Mithraeum discovered at Dura turned up! Of course, this proves nothing, but I was excited nonetheless! This article is certainly an exercise in Aries hubris! To attempt an interpretion of a horoscope with almost no knowledge of its background or purpose is presumptuous, to say the least. As for the use of multi-national sources, I have found that the sky is a cross- and inter- cultural space. Western constellations & their mythic associations work everywhere in the world, as do the Chinese, Hindu, Arabian and Mayan/Aztec; apparently, the message is the message is the message, find it where you will! But really, to me, the ability we now have to interpret a chart with almost no initial information demonstrates the amazing power and potential for analysis offered by the Uranian System, butressed and affirmed by the Fixed Stars. Oh, by the way. the chart’s Saturn/Admetos: “of long duration,” equals both chart-ruler Jupiter and Uranus/Apollon, the combination for astrology: a perfect expression of the resilience and endurance of our discipline, and of the horoscope itself, discovered after a “duration” of more than 1,800 years! Booher, Wayne. I am indebted to Wayne for his ideas on planetary pictures for sacrifice, caves, grottoes, etc, and for David Ulansey’s article in Scientific American. Campion, Nicholas. The Book of World Horoscopes: Wellingborough: The Aquarian Press, 1988. Christen, Gary. personal conversation, June, 1996. Cirlot, J. E. A Dictionary of Symbols. New York: Philosophical Library, Inc, 1962. Cumont, Franz. The Mysteries of Mithra: New York: Dover Publications, Inc, 1956. Cumont, Franz. 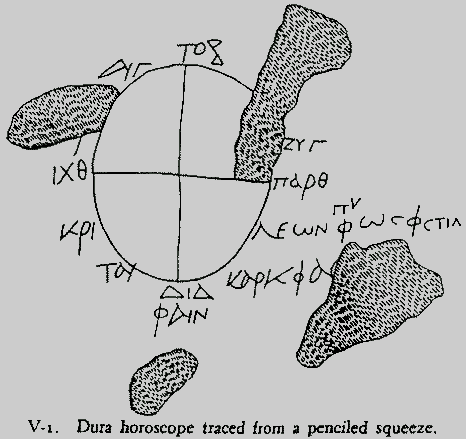 Astrology & Religion among the Greeks and Romans: New York, Dover Publications, Inc, 1960. Ebertin, Reinhold. The Combination of Stellar Influences. Wurttemberg 1972: Ebertin-Verlag. Encyclopaedia Britannica, Vol 7, p 612, & Vol 15, p 604. Chicago, London, etc: Encyclopaedia Britannica, Inc, 1965. Goodenough, Erwin R. Jewish Symbols in the Greco-Roman Period. Princeton: Bollingen Series, Princeton University Press, 1988 (illustration of Dura Mithraeum). Houck, Richard. Mr Houck was kind enough to send me Valerie Roebuck’s translation of the Vrddhayavanajataka of Minaraja. Johnson, Jotham. “Tell Time by the Stars,” Archaeology, New York: New York University Press, 1963. Lehman, J. Lee. The Book of Rulerships. West Chester: Whitford Press, 1992. Niggemann, Hans. The Key to Uranian Astrology: New York: Hans Niggemann, 1977. 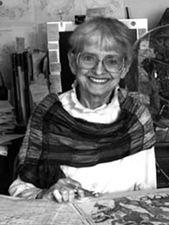 Roebuck, Valerie J., letter to Richard Houck dated July 21, 1995, with translation of the Vrddhayavanajataka of Minaraja, Lunar Mansions in Natal Astrology, books 60 & 63. Rosenberg, Diana K. Encyclopaedia//Correspondence Course of Fixed Stars & Constellations. New York, 1996. Staal, Julius D. W. Stars of Jade. Decatur, GA: Writ Press, 1984. Ulansey, David. The Origins of the Mithraic Mysteries: Oxford University Press, NY, 1989. Ulansey, David. “The Mithraic Mysteries,” Scientific American, December, 1989, pp. 130-135. Walters, Derek. Chinese Astrology. Wellingborough, England: The Aquarian Press, 1987. Witte-Lefeldt, Rules for Planetary Pictures, Hamburg, 1977: Ludwig Rudolph (Witte-Verlag).